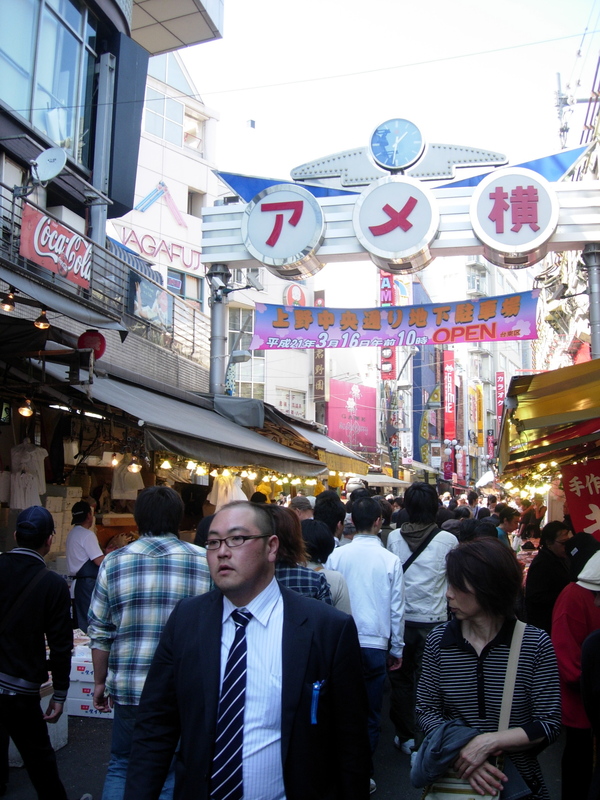 Located under the Yamanote line train tracks at Ueno station heading south to Okachimachi station on the way to Akihabara, the electronics town, is Ameyoko, a boisterous, lively outdoor market. Not nearly as impressive as Tsukiji Fish Market, but this is open on seven days a week, which is a good alternative if Tsukiji is closed. Ameyoko got its name from “ame-ya” as there were a lot of candy (ame) shops there before, and from “America-ya” as products from America was sold there. Yoko means next to and the shopping arcade is next to the train line, part of it actually under the tracks. The fishmongers call out in huffy voices offering discounts and bargains. 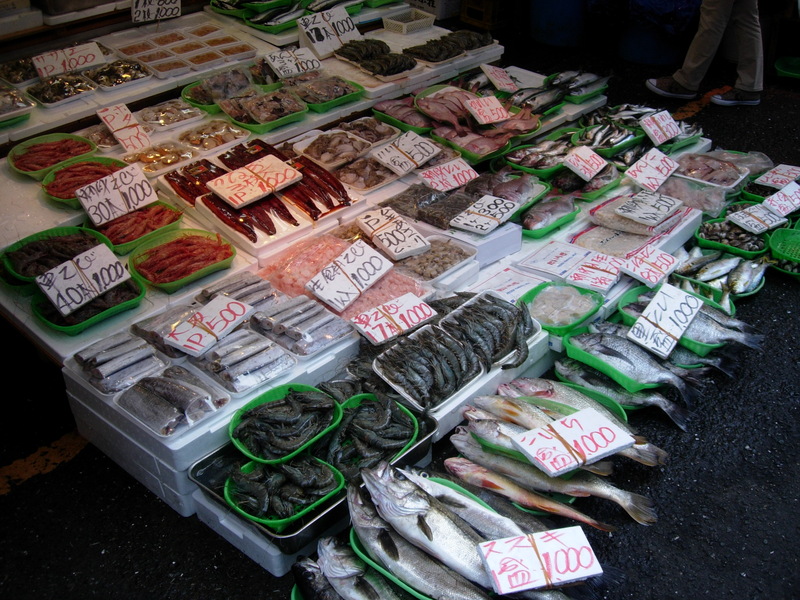 “Omake” means that they are offering great discounts and may even barter with you, or they may call out “sen yen” (1000 yen) and point to a tray loaded down with seafood. 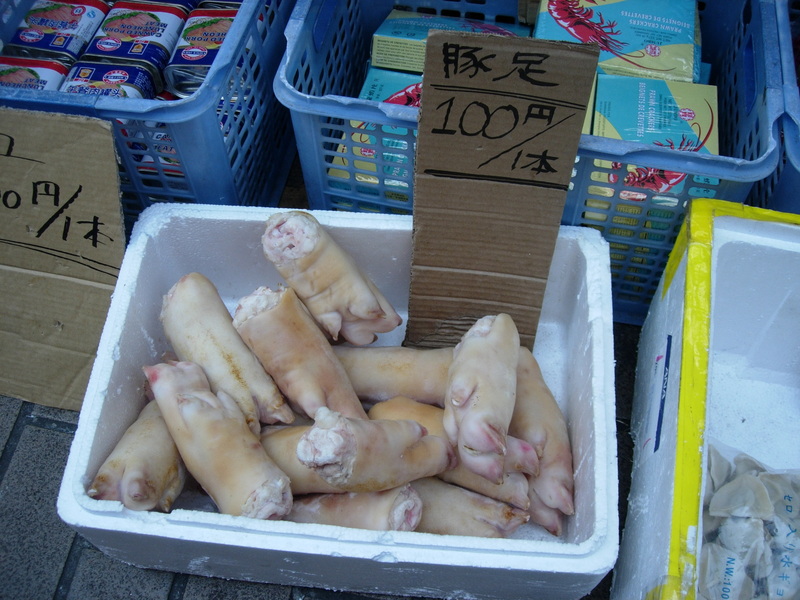 And while negotiating prices is rarely done in Japan, it is done here. 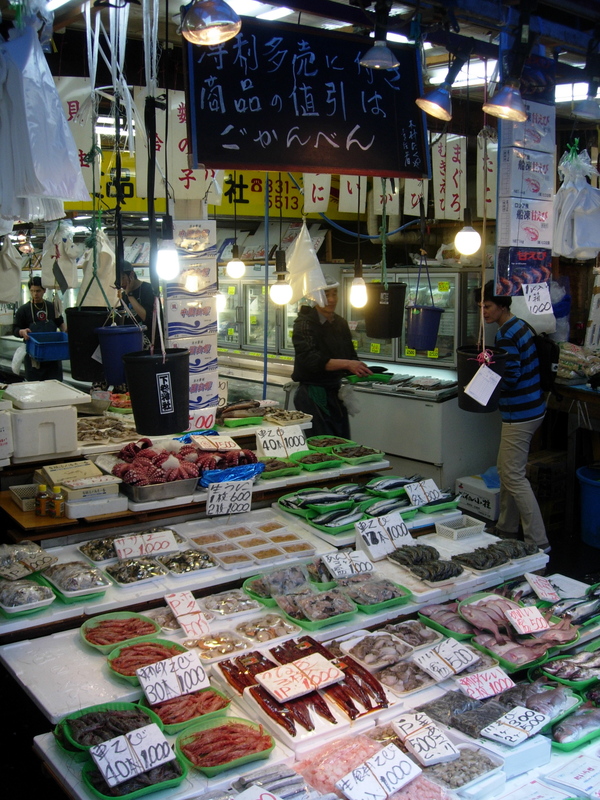 You will find a bit of everything from seafood, fruits, vegetables, and dried goods. At the end of the year, upwards of 400,000 people will squeeze into the narrow alley to pick up ingredients to make osechi ryori (New Year’s food) like kazunoko (herring roe), sudako (vinegared octopus), and salmon. There are about 400 shops squeezed into the 400 meters long walkway. 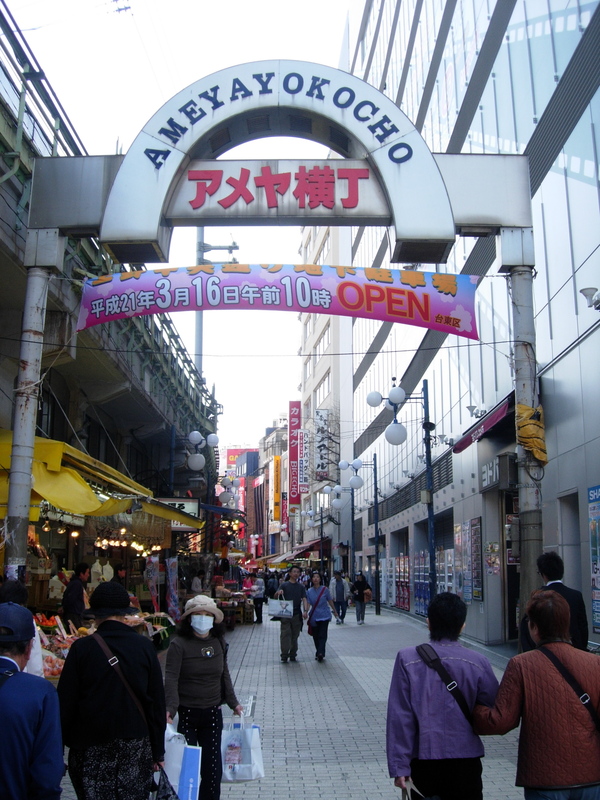 Ameyoko has always had the image for bargain shopping.